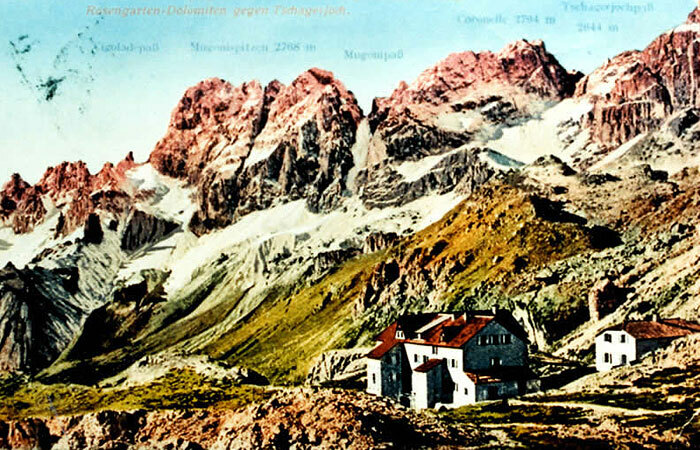 The Vajolet Refuge was built in 1897 by the DuÖAV division of Leipzig. 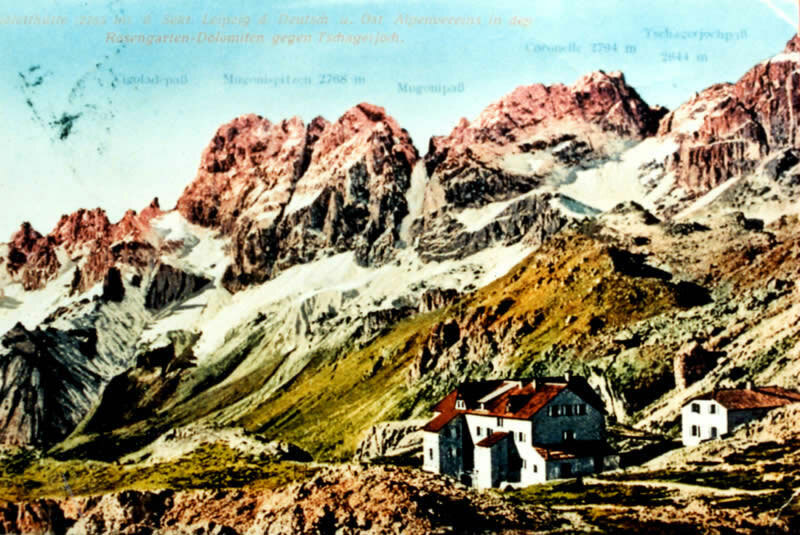 In 1902 another small construction was added close to it. 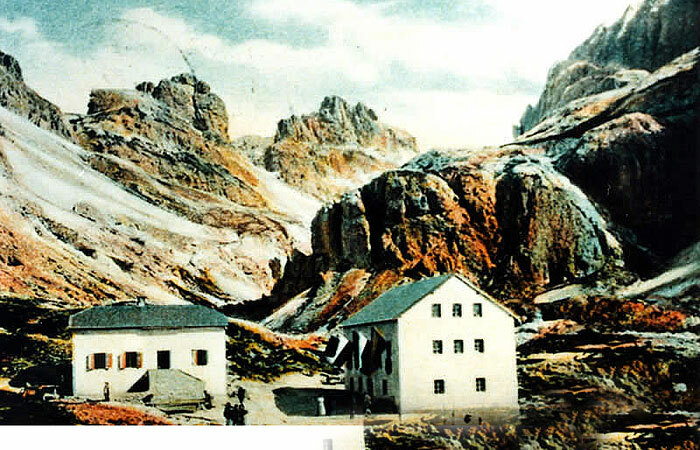 As this proved to be insufficient, the Leipzig division enlarged the Refuge further (see photo below) in 1906. 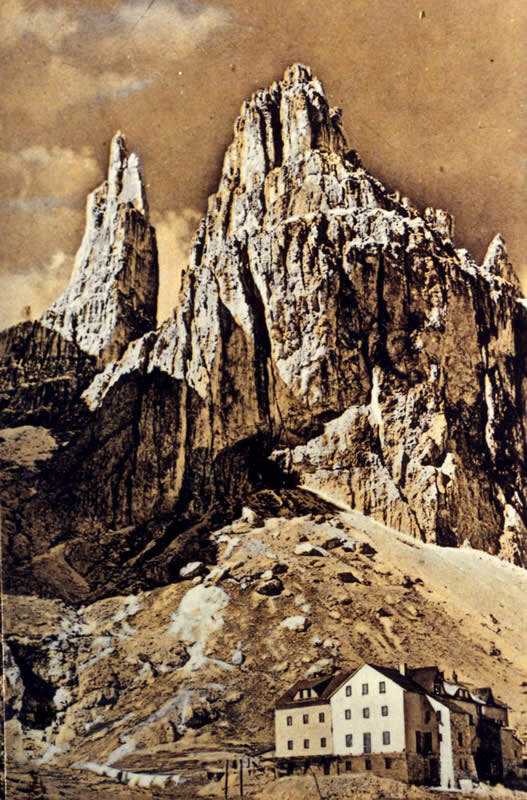 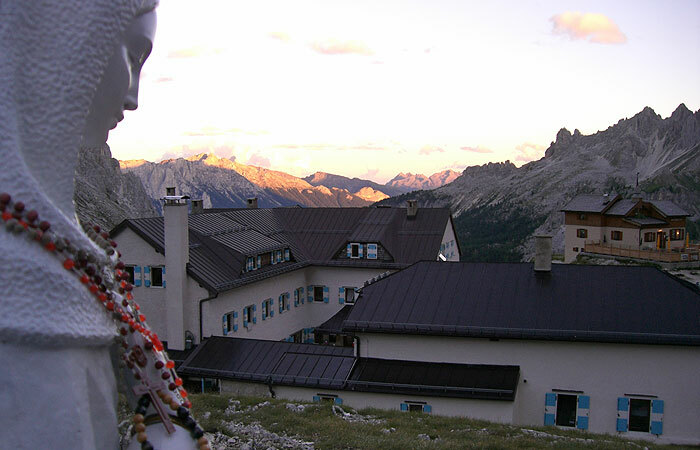 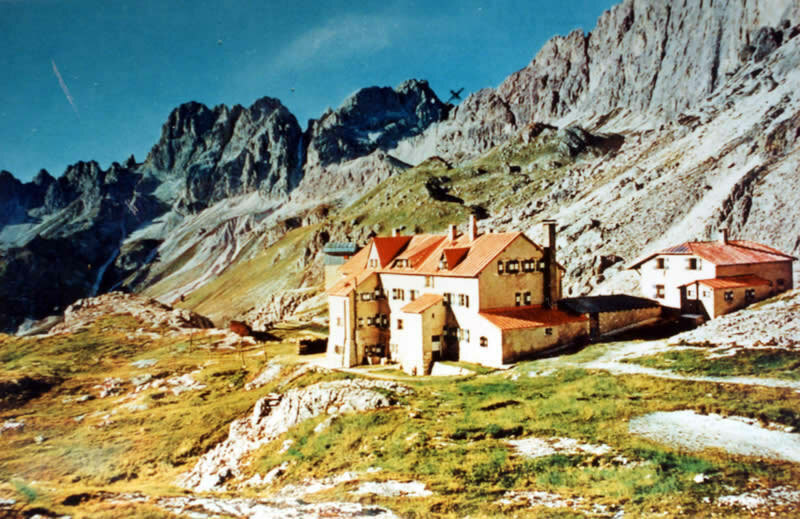 The Vajolet Refuge was again expanded in 1912, and in 1923 it transferred to the S.A.T., Trento. 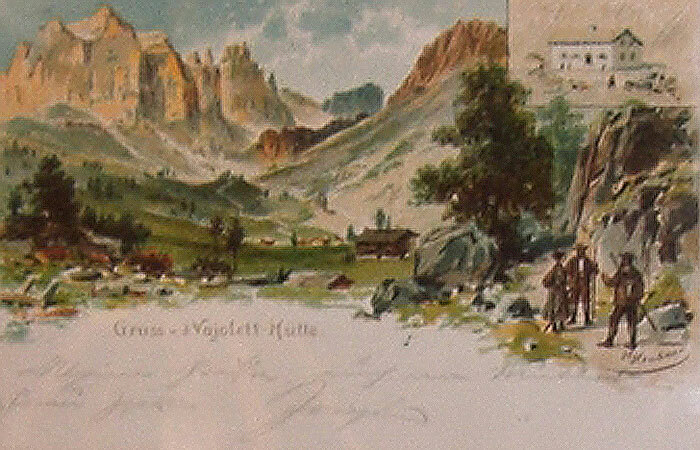 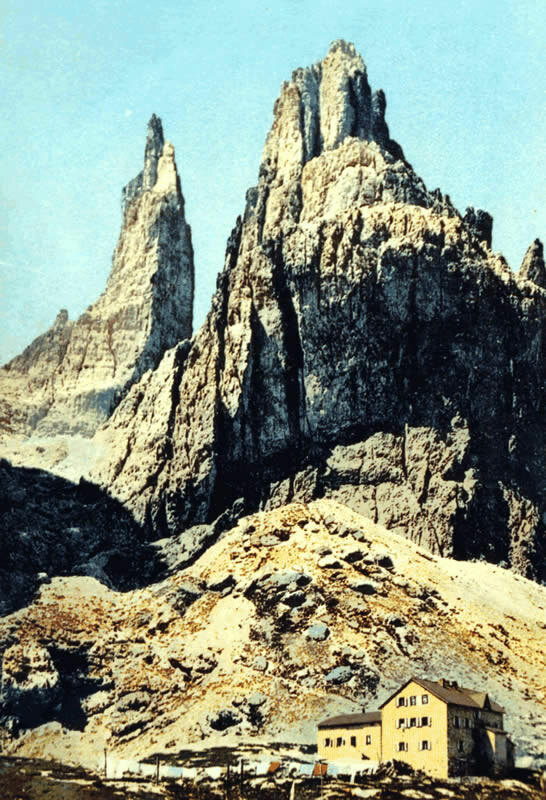 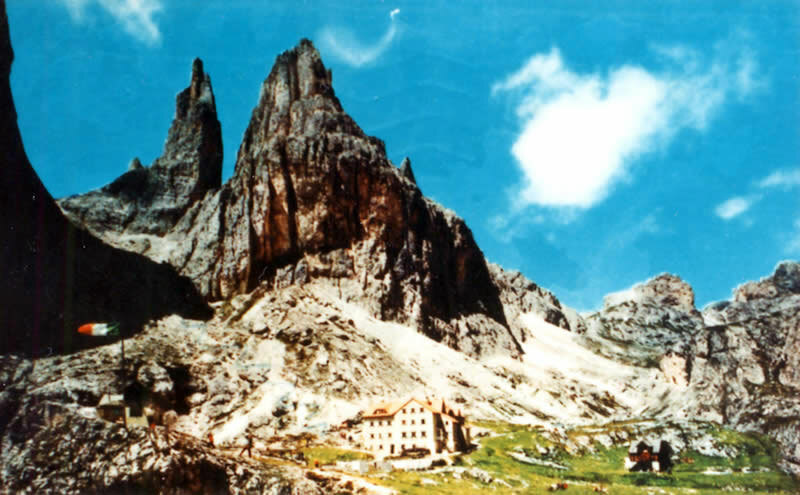 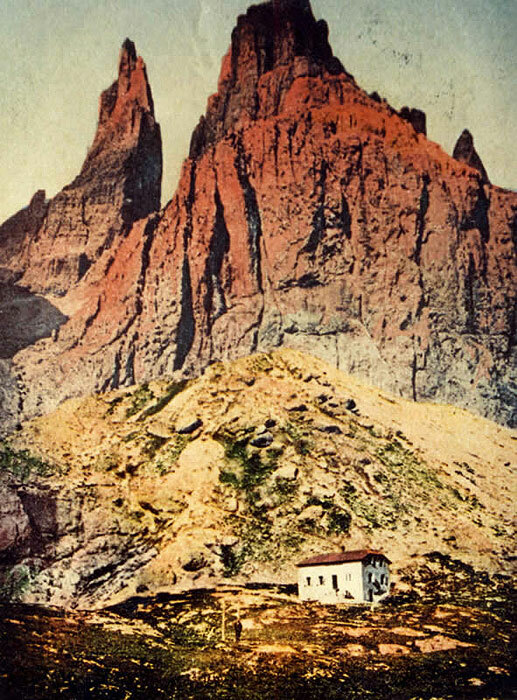 In the years that followed the Vajolet Refuge became an important base for climbers and excursionists who frequented that zone of the Catinaccio.